Join us from 6:00-9:00PM for an evening of swimming, crafts, games and more! With a guest appearance by SANTA! From our Y family to yours, we would like to wish you a Happy Thanksgiving! As a reminder, the facility will be closed on Thanksgiving day. Regular hours will resume on Friday. Take advantage of this special holiday offer! 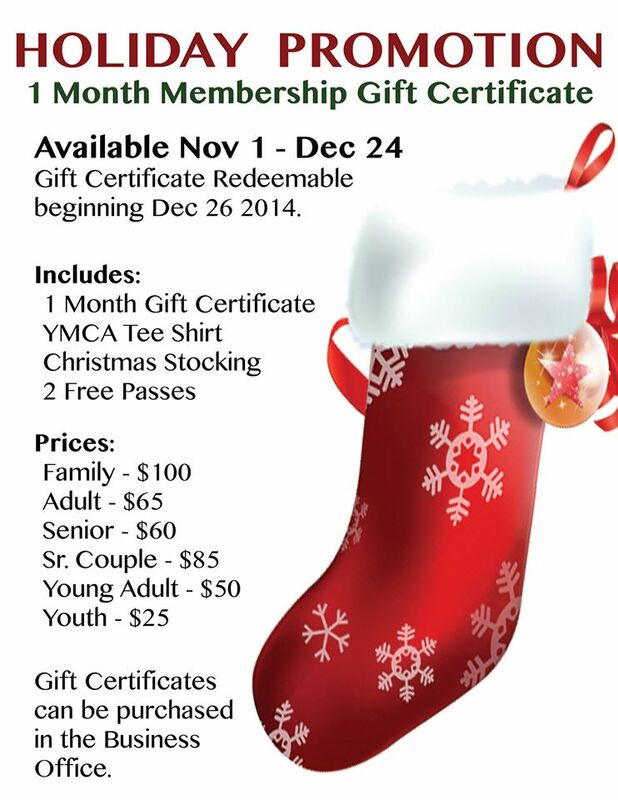 Available only November 1 – December 24, purchase a 1 month membership Gift Certificate! 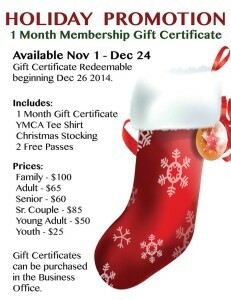 Gift includes: -1 month gift certificate -YMCA tee shirt -Christmas stocking -2 free passes Buy this gift in the Business Office!